Seattle, Washington, is home to many things, including the Seattle Seahawks NFL franchise and the Space Needle, as well as Clocktower Media. 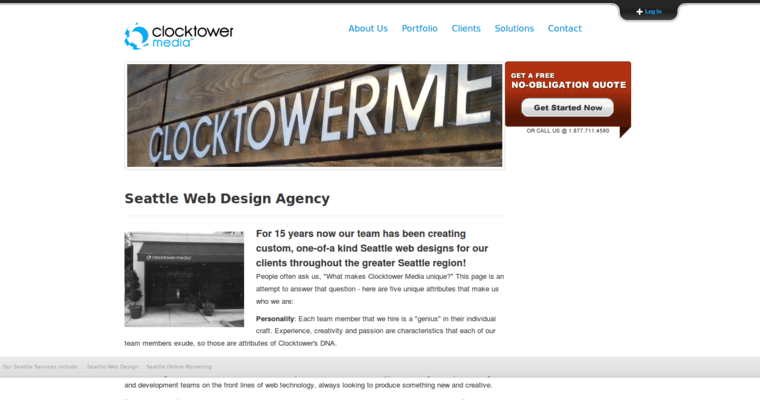 You may already be familiar with the first two things, but not the latter - Clocktower Media is the best web design firm in the entire Seattle metropolitan area. Businesses that are in need of quality websites in short time constraints always get high-quality web pages built exactly to the specifications that businesses request before the deadline each and every time. 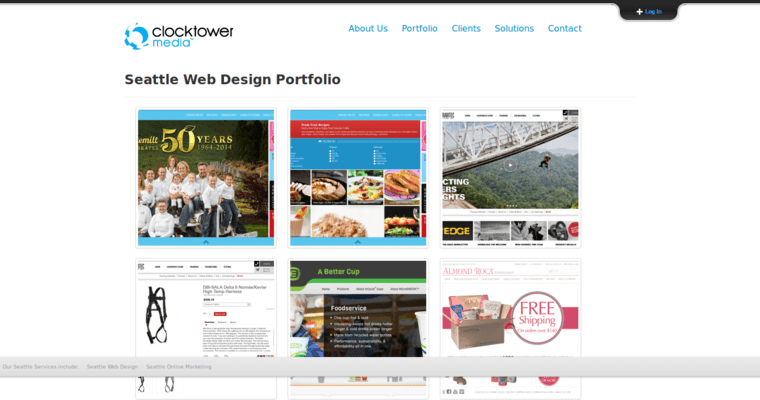 The team at Clocktower Media never uses website templates to make sure that all clients receive custom web pages that do not look like any premade, from-template sites like WordPress, for example. 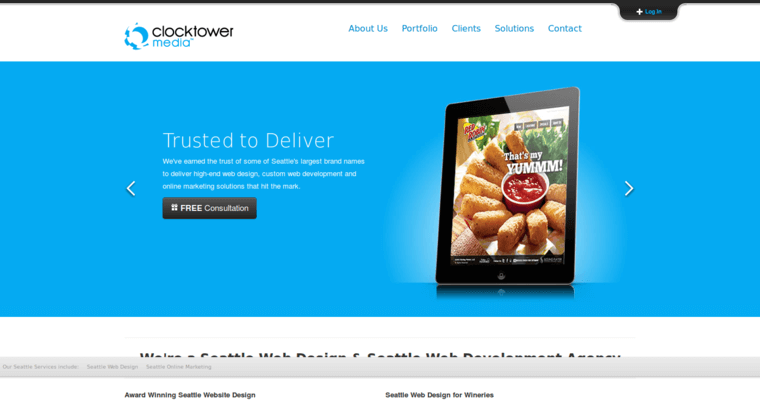 Some of the most prominent and popular businesses that trust Clocktower Media to take care of their needs are Eddie Bauer, the popular lifestyle brand, Microsoft, the world's first big computer company, and Allrecipes.com, a popular cooking site.